The 2013 Mini Clubvan is the upcoming van that your family will love to cruise in. It can also be used for commercial and business purposes. The exterior is stunning and the interior is spacious. The safety features are at its best. The robust engine is fuel efficient and is capable of giving power performance. Let’s have a look at its models and some of its remarkable features. It exhibits a spectacular exterior with roof, rear side window area, C-pillars and body-coloured mirror caps. The xenon headlights and black headlight shells makes it more eye-catching. The exterior paint work has four choices of shades including Ice Blue, British Racing Green metallic, Pepper White, and Midnight Black metallic. The 15-inch wheels are standard while you can also replace them with 15, 16 or 17-inch alloy wheels. The interior is comfortable and spacious with two seats and five doors. The black seats with Cosmos fabric upholstery, a black interior color scheme and Fine White Silver trim strips made the interior lavish. The closed off load area makes this vehicle more practical. You can easily load your cargo as the cabin is roomy. The tinted glass in the rear doors hides the load compartment. The loading floor and side walls are carpeted. The 12-volt sockets can be used to power electrical equipment in the cargo area. The attachment loops tie your cargo safely to the vehicle. The cargo area has a maximum payload capacity of 500 kgs. 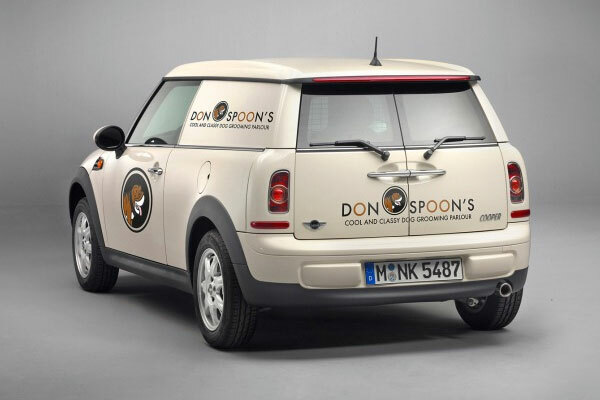 MINI One Club Van is powered by 1.6-liter engine that can generate 72 kW/98 HP of output power. It achieves a top speed of 185 km/h and an acceleration of 0 to 100 km/h (62 mph) in 11.1 seconds. 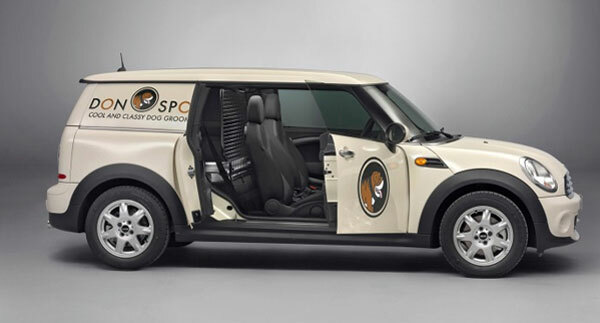 The MINI Cooper Clubvan, however, generates 90 kW/122 hp of output power with a top speed of of 201 km/h. MINI Cooper D Clubvan is the most fuel efficient and deliver 82 kW/112 hp of output power.The six-speed manual transmission is standard on all three models. This commercial van will be available in showrooms around autumn 2012. 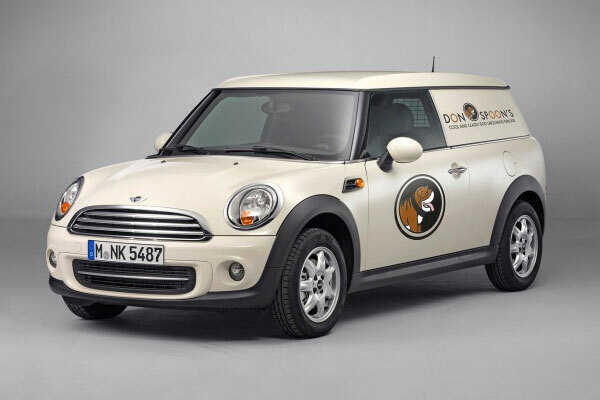 So, whether you are a fashion designer, event caterer, architect or photographer and want to do business, then the new 2013 Mini Club Van is your new vehicle.